Move over BB guns and videogames. Christmas morning may have a new menace. 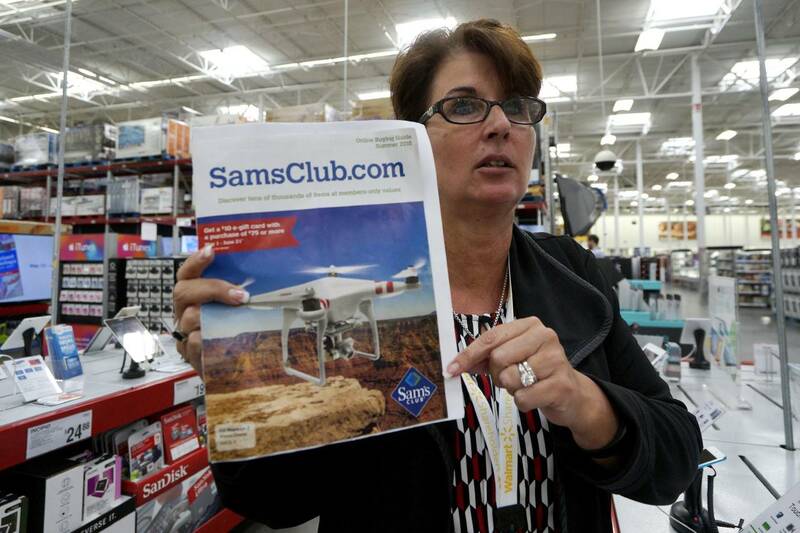 Sam’s Club is betting drones will be a popular holiday gift this year and plans to stock about a dozen kinds—from $100 models to $4,000 versions with high resolution cameras or the ability to pick up small objects, said Dawn vonBechmann, senior vice president of technology, entertainment and office products for the wholesale chain owned by Wal-Mart Stores Inc. The move comes as drones are capturing attention at a time when little else in the battered consumer electronics market is clicking at the register. Sam’s started thinking about expanding its drone line after noticing a $1,169 model with a digital camera was selling “like crazy” online, Ms. vonBechmann said. Sam’s surveyed customers earlier this year and found about half bought the pricey drone for professional reasons; real-estate agents taking bird’s eye view pictures of their high-end properties, wedding photographers hoping to get a client’s ceremony from a new angle—and at least one rancher who uses it to check whether perimeter fences are intact from the comfort of his home. The rest are buying it for fun, Ms. vonBechmann said. Lets hope Sam’s Club also sees the benefit of proper training and safety. Lets hope they do something like a procedure that people have to read and SIGN at least a quick document saying they understand it is not a toy and listing do’s and don’t before they can take it home. Make sure they have info on B4UFLY and other helpful info. Maybe require a STICKER on each arm of the drone saying Learn before you Fly and directing to a quick website with a QR Code or other easy to access info. The problem is that many of the issues result from ignorance not malice, people don’t know or don’t think through the consequences of the actions they are about to perform. Lets hope this is a positive step. By becoming main stream people who had no knowledge of the hobby/industry in the past beyond what the sensationalist media fed them, may indeed get a better perspective when the neighbor they know and trust pulls one out and shows them how cool and non threatening they can be. It is up to all of us to make sure that each and every encounter like that, is as positive as we can make it.